The widget is highly customizable. You can adjust and adapt the widget looks to fit your designer needs by applying custom CSS styling. How do I apply custom CSS styling to my widget? Sign in to your admin panel and click on "Widgets". 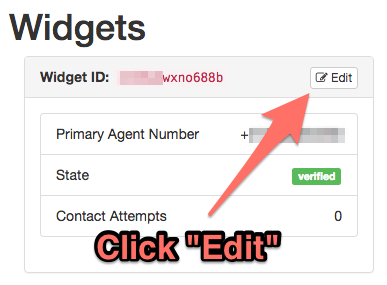 Select and click edit for the widget you want to customize. Place your CSS customizations in the Custom Styling for the Button field. How do I override the current styling? All buttons get the default styling applied to them. You can download the base style from the link provided on the settings page. By entering your own CSS into the field, custom properties will override the default properties. What kind of CSS styles can I apply, and which selectors do I use? Please contact support if you have further questions.